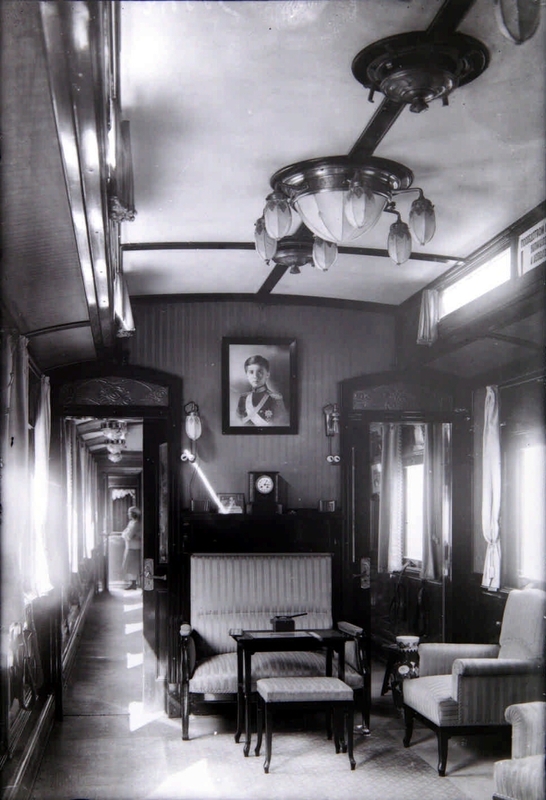 The interior view of the cabin-car of the train, in which Nicholas II signed the abdication of the throne [Izomaterial]: [photo]. - Pskov, 1917. - Projection print from the negative, black and white; 10х15 cm. - Russian State Archive of Cinema and Photo Documents. http://www.rgakfd.ru/. 1. Nicholas II (Emperor of Russia, 1868 - 1918) - Renunciation - Photos. 2. Power (collection). 3. 1917: February-October (collection). 4. Documentary photos.